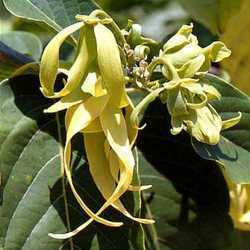 We are engaged in providing Flower Extract that is widely used for preparing perfumes, creams, bathing soaps. Our range of flower extract comprises Jasmine Absolute & Concrete, Lavender Oil, Tuberose Concrete, Mimosa Absolute & Concrete and Davana. Extracted from variety of plants and flowers, our range is appreciated for good fragrance. 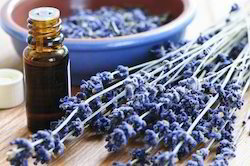 We provide Lavender Oil that is widely used as ingredient in perfumes, soaps and cosmetics. Our range of lavender oil is also used in aromatherapy by blending the oil with variety of carrier oil as it rejuvenates the body. The oil is prepared by steam distilled from the flowering tops of the Lavandula officinalis plants. It depends on what you will use it for. Please read our tips and tricks below to get some great ideas on its usage! Put a few drops on your pillow for a serene feeling at bedtime. Add a few drops to our De La Cruz Sweet Almond Oil to make soothing and aromatic massage oil. For an extra refreshing bath, add a few drops to the bathwater. To create a calming environment, add a few drops or blend with other oils in car diffusers, misters or vaporizers. For fresh smelling clothes and bedding, put a few drops in your laundry. We offer Jasmine Absolute & Concrete, which is a brownish red to yellow colorclear mobile liquid. 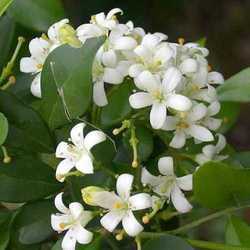 Our range of Jasmine Absolute & Concrete is an intensel rich, sweet, warm, floral scent and widely used in aromatherapy. Standard packing: In aluminum bottles, net weight 1 kilo. Storage: At cool place in tightly sealed original containers. Our range of Tuberose Concrete is appreciated for soothing fragrance. 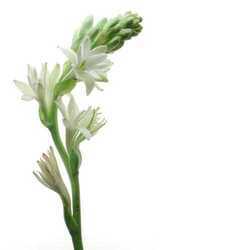 Sourced from leading vendors, the tuberose concrete is widely used in preparing perfumes. These are catered to various clients across the globe. 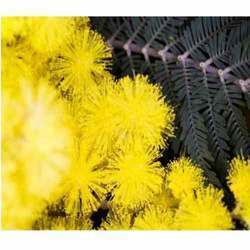 We supply Mimosa Absolute & Concrete that is extracted from blossoms of Acacia dealbata, which is grown in France. It is small tree, a greyish brown bark with delicate foliage and ball-shaped fragrant yellow flowers. These are used as astringent and antiseptic for skin care and also used in high class perfume. It eliminates stress and provides relaxing and calming effect. We export Davana that is used for making of high quality perfumes, cosmetics and are also widely used in food industries, flavoring , pastries and some beverages. Sourced from reliable vendor, it also has high medicinal property. Looking for Flower Extract ?